There’s a lot of questions people have when buying a die cut machine. People usually want to know, “which die cut machine is best”? The best die cut machine really depends on what the machine is being used for. 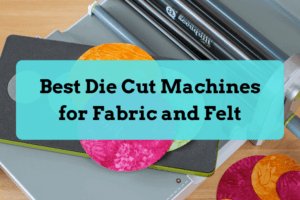 Before you pick a die cut machine, there should be a few things to consider, such as the type of machine, the cost, the durability, ease of use, software, versatility, and power. The most important thing when considering a die cutting machine is the type of machine. Choosing between a digital and manual die cut machine all depends on what you will be using the machine for. Manual die cutting machines use a hand crank (or motor) to push material through a slot, where the material is then cut using a die or embossed using a “folder”. These machines are best when you only have specific shapes that need to be cut. The downside is you will need to buy a new die for each different shape. You want to cut multiple layers of fabric. Digital die cutting machines work similar to a printer to cut materials. These machines plug into your computer just as a printer would, but instead of printing on paper, it makes cuts instead. There are some older machines, however, that use cartridges that plug into the machine instead of connecting to a computer. These older machines are no longer manufactured but are still available in some places. The main advantage of buying a digital die cut machine is to create your own designs. Digital machines allow you to create designs from scratch, or import existing designs. Die cut machines can cost less than $200, to upward of $1,000 and more. Typically, the more expensive the machine, the more powerful it is. If you plan on using a machine a lot, it’s important to find something that fits your needs that is easy to work with. Versatility is another important factor. Consider the projects you will be creating with a die cutting machine and what kinds of materials that will be cut. Heavy duty machines are able to cut a greater variety of materials. If you will be cutting mostly with paper-based materials, it might not make sense to invest in a heavy duty machine. Even if you have a quality die cutting machine, it may be frustrating to use the machine if the software has a high learning curve or you can’t get support. Research the software that comes with the machine and see what kind of tutorials there are. Also, research the company selling the die cutting machine. 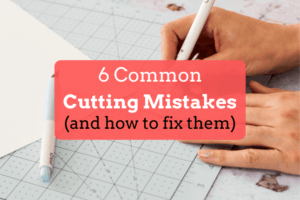 Many companies have tutorials, forums, and phone and email support to help you get started in die cutting. Size and portability may be a factor. Do you have a small working area? Will you be cutting large materials that require a machine with a larger cutting width? Also, consider the weight of the machine if you will be traveling with the machine. Machines can range from 2lbs to large machines that are 40lbs. Thank you for the comparison on the two machines. I have been looking for what is the difference on them awhile. Did not want to make an incorrect decision where my money is concerned. I now know I need the 650W. Thank you again. What’s the difference between an A4 and a V2 machine? I am cutting a 8″ by 11″ rectangle out of canvas material. I have 7 different colors and I am using a 5′ bolt of fabric. I am thinking a manuel die cut machine that will cut multiple layers canvas at a time would work best, so I could fold the 5′ canvas material over and cut multiple pieces at a time. Could you give me a recommendation on a machine for this? Also I am going to need a custom die made, how do I go about getting this done? If you are doing a lot of cuts, a manual die cut machine is best, especially for fabrics. Sizzix is a good brand. Their Big Shot Plus machine cuts 8.5″ x 11″, which might fit your needs. For custom dies, you can visit the Sizzix Custom Dies page. 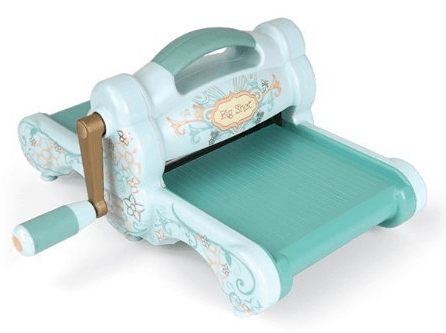 Can you please help me choose between the cricut maker of the sizzix big shot pro. I cut lots of wool felt. i am looking for the most cost effect and durable machine. I cant seem to figure out which one will be better. Hi Sihaam, the machines are quite different. The Sizzix requires you to buy physical dies to cut. You generally won’t be able to create designs from scratch unless you get your own design made. If you are only cutting basic shapes and want to cut shapes quickly, the Big Shot could be a good choice. The Cricut Maker, on the other hand, requires an internet connection and allows you to create your own shapes. Cutting will be slower but you will be able to cut more materials like Balsawood using the knife blade. I need assistance in choosing the best machine to cut lots of wool felt. I want something that is durable and cost effective. I am confused as to whether i should go with the cricut maker or the sizzix big shot pro. Your help in my decision to choose which one will be highly appreciated. Hi, I’m looking for a personal machine to cut galvanized metal, or corregated galvanized sheet metal. Will the Vagabond cut this type of metal? If not is there a personal sized machine that will? Hi Marina, how thick is the material you want to cut? Unless it’s really thin, none of the machines reviewed on this site will work.